Home / Freebies / Free Stuff Online / Free Samples / FREE Betty Crocker Coupons + Recipe Book! I have a great deal for you today from Betty Crocker! Right now you can get some awesome FREE Betty Crocker Coupons and a cookbook! 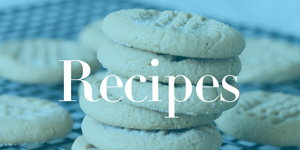 There are tons of great recipes and free samples! You can also check out our Betty Crocker Coupons page for more great deals! Right now you can grab these awesome freebies when you join BettyCrocker.com. You’ll get access to some FREE Betty Crocker Coupons, Samples and a cookbook just for signing up. Grab your awesome FREEBIE from Betty Crocker today while it’s still available! Says I’m not eligible? I’m old enough, what gives? Free Kiwi Crate Trial Box! Just pay Shipping!